BILLINGS, Mont. (AP) — Montana’s Crow Indian Tribe misused $4.8 million intended for water system improvements and can’t account for an additional $7.8 million that the tribe said it paid to subcontractors and vendors, according to a U.S. government audit released Tuesday. The findings mark the third time in recent years that the tribe has come under scrutiny for its handling of federal money. Those investigations have raised questions about a combined $29 million distributed to the tribe by the government. Crow Chairman A.J. Not Afraid, Jr. was reviewing the audit and consulting with tribal attorneys but did not have an immediate comment, said spokesman Jared Stewart. The Interior Department’s inspector general also faulted federal officials with the U.S. Bureau of Reclamation for not properly overseeing the money. It was awarded to the tribe under a $460 million settlement of historical water rights claims. The money has two broad purposes: improve irrigation systems used by farmers and ranchers on the reservation and rebuild the aging drinking water system serving more than 7,000 Crow members living on the tribe’s reservation along the Montana-Wyoming border. During the audit, investigators examined $13.8 million in water project contract costs claimed by the tribe between October 2014 and March 2017. Of those, Crow officials could not provide adequate invoices and other documentation to explain $7.7 million in expenses, investigators found. Separately, the tribe kept $4.8 million intended for the water project contracts and used the money to pay “business expenses unrelated to the contracts.” The report did not specify the nature of the unauthorized expenses. Representatives of the Inspector General’s office did not immediately return a request for further comment. When the tribe was asked to return the money to a specially-designated water projects account, tribal officials “asked to be put on a repayment plan,” according to the audit. Details on how the tribe will repay the money were still being worked out. Former Tribal Chairman Darrin Old Coyote was in office for much of the period covered by the audit. He said Tuesday that when he departed in December 2016, his administration left behind documentation detailing its spending on the water projects. Old Coyote said those reports were never submitted. He also said the Bureau of Reclamation had been involved at every stage of the process and was aware of all spending by the tribe. “They approved the projects. Step by step, they were right with us,” he said. Old Coyote said he had talked with the investigators who conducted the audits. Bureau of Reclamation officials contacted Tuesday did not have a response to the audit. 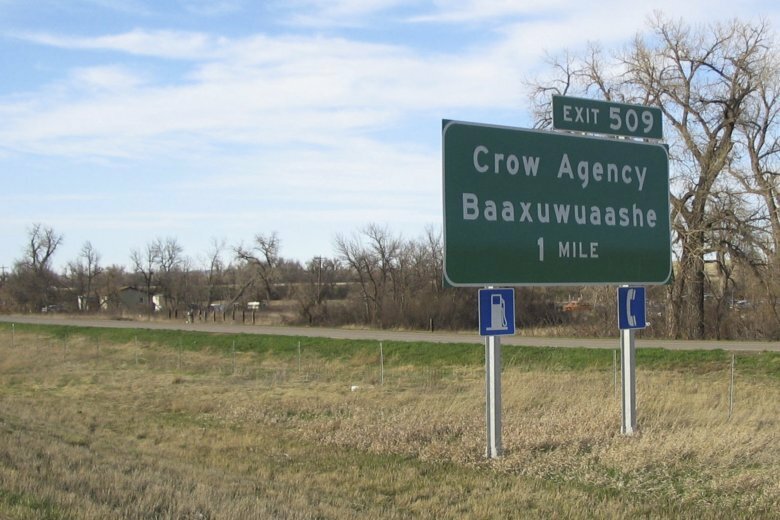 In June, investigators faulted Crow officials for failing to account for $14.5 million in transportation grants and in 2016 for diverting $2 million from a transit grant to the tribal budget. When the transportation grant problems surfaced, Not Afraid pinned the blame on Old Coyote and past administrations. Not Afraid said he was appointed to head the tribe’s finance department in 2013 but resigned because of the policies of the Old Coyote administration. Old Coyote denied any federal funding was unaccounted for during his administration. He blamed the problems with the transportation grants on a contractor in the tribe’s finance department. The Bureau of Reclamation to date has set aside about $260 million for projects related to the 2011 water rights settlement. As of March 2017, the tribe had withdrawn about $45 million of that amount. Follow Matthew Brown on Twitter at https://twitter.com/MatthewBrownAP .